About 15 years ago, a Swiss banker loaded all of the confidential information on Americans with Swiss bank accounts that he could find onto a CD-ROM. He flew to the United States and handed the information over to the U.S. Treasury and the FBI. The banker was in trouble for helping Americans evade taxes and this was his play to avoid prosecution. He blew the whistle on his clients. What ensued was a 10-year manhunt by U.S. tax authorities to find the tax evaders and many more whose information was not included on the original CD. The U.S. played rough not by chasing the individuals, but by putting pressure on the Swiss banks themselves. The big Swiss banks like UBS, and Credit Suisse have huge capital markets and wealth management operations in the U.S. The U.S. told those banks they could either hand over the information or we would shut down their U.S. operations. They handed it over. Now something similar is happening in crypto-currencies. As this article shows, the U.S. Treasury is concerned that cryptos are the “new Switzerland” where Americans are hiding income and avoiding taxes. The Treasury is probably right about that. 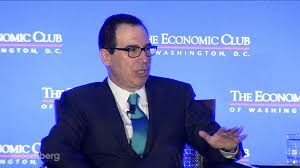 Treasury will use the same hardball tactics against the crypto-currency exchanges they used against the Swiss banks. The IRS is already demanding all records of crypto-currency transactions from these exchanges including name, address, social security number and bank account information about their clients. The bitcoin fans who mock the government and play “catch me if you can” will find out the hard way that the U.S. government has the resources to track them to the ends of the earth.